I thought I was ready. My husband thought he was ready. We were both wrong. We were surprised and caught off guard by the strong emotions we were feeling – the hollow pit in our stomachs, the sadness, the feeling that something was “missing” – as empty nesters. We helped our oldest son move to a neighboring city. While only 3 hours away by car, it was farther than the 3-4 miles he was originally planning on. He is in his early 20’s and midway through college. Even though he was still living at home, he had his own life. He came and went as he pleased. We did not see him every day. We felt like we were empty nesters. That was one of the reasons we were caught off guard by the strong emotions we were feeling. It was time. Time for him to move out and find his own way in life. Stretch his wings so to speak and test what we taught him about being a responsible adult. 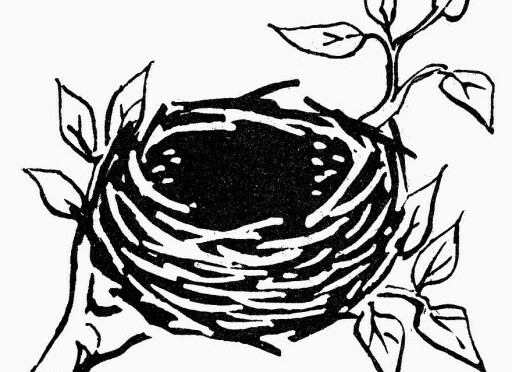 But, still… all of a sudden, I was not to sure about this empty nest thing. It was a weird feeling, very bitter-sweet, to know that a person that I helped bring into this world, and has been with me every day for 2 decades, would no longer be there for breakfast or dinner. I would no longer see his car in the driveway or have to coordinate parking. I would no longer be tripping over his shoes in the entry way. I would no longer be waiting up late at night, listening for the sound of him coming home from a party. Now, I will never know when he is going to a party until after the event and IF it comes up in conversation. I would no longer be nagging him to clean his room or do his laundry (ok, so there is a pro and a con to this one). I will no longer know that he cleaned his room by the stacks of dirty dishes next to the kitchen sink waiting to be washed. I look where his desk used to be. Flash backs of him sitting there doing school work or playing computer games for hours on end – yet another area of frustration that is prevalent in parenting todays kids – come sailing into my memory on a sea of sadness. Don’t get me wrong. I am very proud of my son. He has turned into a fine young man with dreams of exploring the world (yea!) and living life to the fullest. I am proud that he left our house with a plan for his future. He verified his college credits would transfer to the new campus and he transferred within his job so he did not have to search for a new one. He moved in with friends so he did not have to hunt for an apartment. He thought it through like a responsible adult. It made the empty nest emotions less drastic I am sure, because he took some of the worry away from us. Of course, there will be the “unknown or what if” worry that I will have to learn to let go of and not dwell on. We squashed some of that “what if” by helping him move into his new abode. We met his new roomies, explored his new city, and set him up with his own toolbox. Complete with a starter set of tools, most of which he used with us as we did projects throughout the years. Before we left, he had made a mental list of projects that he wanted to do around his new domicile – maintenance repairs and yard work. He was making his mamma proud! It will be exciting when he comes home. I can hardly wait to hear his tales of life in the new city.